“If we can do anything to put a smile on just one child’s face, it is all worth it,” says Glenn Williams, associate at Marriott’s OceanWatch at Grande Dunes Vacation Club resort. Glenn says he and his wife have been very blessed with two children and four grandchildren, all in good health. 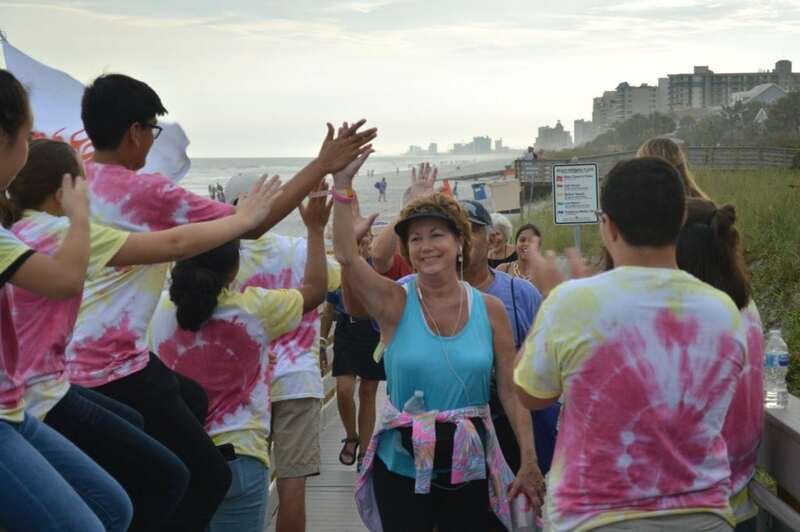 The children are Glenn’s motivation to give back to McLeod Children’s Hospital and what drove him to individually raise over $1,500 for this year’s Myrtle Beach Torch Relay event held on Monday, October 9. Glenn and his wife are proud supporters of Children’s Miracle Network Hospitals; Glenn has raised money as a past associate at Walmart and his wife enjoys making quilts for neonatal patients at the children’s hospital in their community. “We usually each choose something that interests us and do what we can to help each year. Helping children has always filled our hearts with joy,” he said. For this year’s Torch Relay event, Glenn started out with an attainable fundraising goal but quickly raised the bar as he realized the potential his grassroots efforts would have. Glenn reached out to his fellow Marriott Vacation Club associates, vendors, family, friends and more to surpass a total of $1,500 raised For The Kids. 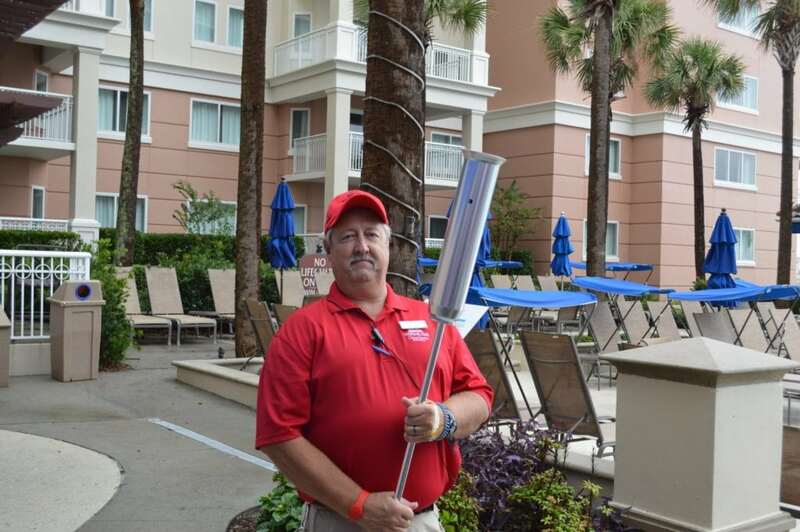 Glenn Williams, an associate of Marriott’s OceanWatch at Grande Dunes for over 4 years, at this year’s Myrtle Beach Torch Relay event. Over 70 participants gathered on Monday evening at OceanWatch to take part in the Torch Relay Beach Walk. Participant and team fundraising, along with a silent auction, has raised over $22,000 for McLeod Children’s Hospital. 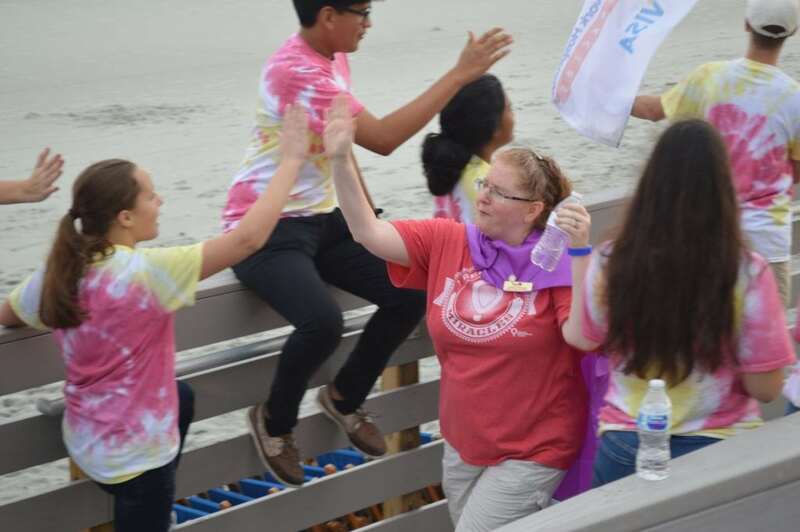 “I’m so proud of our efforts and what we were able to accomplish,” Paul Bishop, General Manager at Marriott’s OceanWatch at Grande Dunes, said of the teamwork that went into making this year’s fundraising event a success. The Torch Relay for Children’s Miracle Network Hospitals is a unique multi-day event where participants join in their local segment of The Torch Relay to raise money for their local CMN Hospital. The Torch Relay began in 2002 as a continuous relay starting in Miami, Florida and ending in Orlando, Florida. In 2003, the event was expanded to include northern Florida and Georgia. The first coast-to-coast Relay was held in 2005 and has continued to grow every year since. From the simple beginnings of the event, The Torch Relay for CMN Hospitals has raised over $11 million dollars for children’s hospitals nationwide.